The next round of Bundesliga I and II games are coming up this weekend. I've attached the odds and ratings for those matches. Take a look at what's on offer and then let us know what bets you're looking to place ahead of these games. FSV Mainz conceded at least 1 goal in each of their last 7 matches in Bundesliga. The Bundesliga is ticking along nicely this season with Borussia Dortmund leading the way. It's an interesting story across the league table and that's even the case with this mid-table clash between Werder Bremen and Augsburg that's set to kick-off at 2:30pm on Sunday afternoon at the Weser-Stadion. Werder Bremen are in a comfortable 10th place in the table but will still have one eye on a late burst for the European qualification spots. Florian Kohfeldt's men are just 4 points off 6th place Wolfsburg so a run of decent results will help push them on up the table. An undefeated spell of three league games is doing those chances no harm. Augsburg are in a slightly more precarious position in 15th place but they're 6 points above the automatic relegation spaces. When you see the gap between them and the relegation play-off spot occupied by Stuttgart is just 3 points then things get a little more nervy. Manuel Baum's side hadn't won in their previous 10 league matches before their 3-0 win over Mainz last weekend. Was it a turning point? The home side will come into this game looking to build on their positive home form this season. It's just 3 defeats from their 10 home games so far this season. Augsburg's away record could play into that with the travelling side having won just 2 of their 10 away matches this campaign. Die Werderaner will not accept anything other than a win here. Augsburg might be feeling more confident after that win last week but this is a tricky trip. 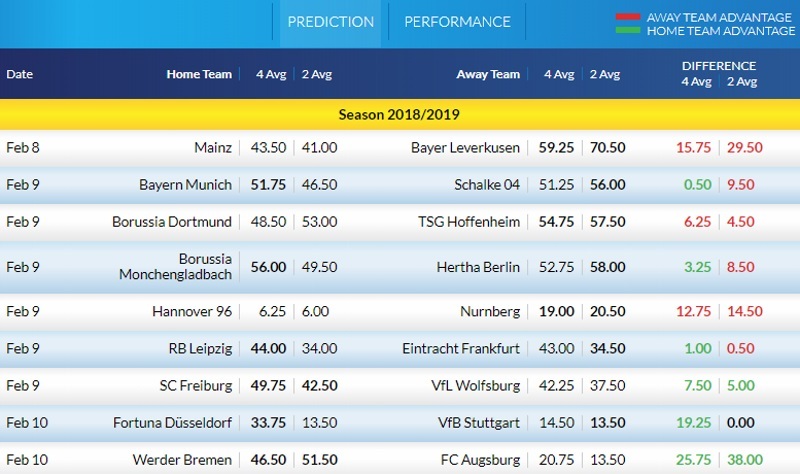 Werder Bremen are a solid price and their home form gives me enough confidence to back them in what could prove to be quite an entertaining game. @Magic0024, @malabgd, @sajtion, @betcatalog, @DrO, @Neubs, @Xcout, @Banter1, @Bayern, @DonPaulo, @fhuefdsa, @Franger83, @Uriel18, @VYA, @EuroDream, @JPee, and @JKos, what bets are you all lining up here? Am I being too conservative this week? Dortmund have scored in each of their last 18 matches in Bundesliga. FC Nürnberg have conceded 2 goals or more in each of their last 7 away matches in Bundesliga. 70% of Hoffenheim's matches had over 2.5 goals scored in Bundesliga. Freiburg have conceded 2 goals or more in each of their last 3 matches in Bundesliga. Wolfsburg have scored in 80% of their away matches in Bundesliga. I´m Werder Bremen Fan and i must fair to say, that Bremen in Home Games against Augsburg allways tough and close Game´s have to play. Feeling said that Bremen will win, but not for these Odds. On Augsburg side Top-Scorrer Finnbogasson very doubtful - that´s maybe reason while Odds going Down on Bremen. For me Bremen only with Odds around 2.00 would be Value. I´ve taken the DC on Frankfurt against Leipzig, Leipzig with some missings and Cup Game in Midweek, while Frankfurt are out of the Cup and so i think with more Fitness for today - important for me because both Teams are playing intensive Football. Also i´m on Hannover. 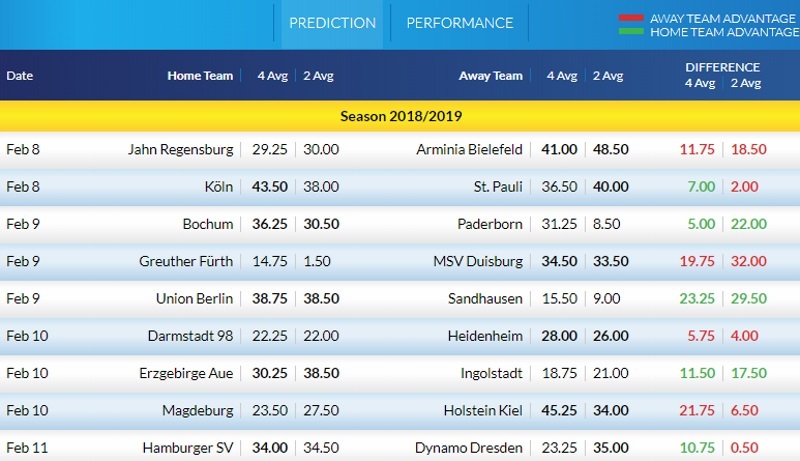 Same Reason here - opponent Nuernberg with Cup Game in Midweek - but they are on terrible Run and i think the Squad of Hannover is a little bit better then Nuernberg and also it´s Home Game for Hannover. But it will be very tough Game - it´s relegation Battle. So only with small Stake here. Also i´ve taken the Draw in Freiburg-Wolfsburg Game. Wolfsburg with great Results when they play in Freiburg - but now also with Cup Game in Midweek and Freiburg showing not so bad Performances after Winter Break, only Results are not great. Werder Bremen have scored in each of their last 20 matches in Bundesliga. Stuttgart have scored 35% of their goals after the 75th minute in Bundesliga. 33% of FC Augsburg's conceded goals occurred after the 75th minute in Bundesliga. Düsseldorf have scored 41% of their goals after the 75th minute in Bundesliga. 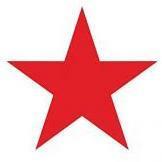 For me today only Stuttgart to Win... Hannover won yesterday and now Pressure is big for Both Teams. Gap is close from both teams now to Hannover who sit on First direct Relegation Place.